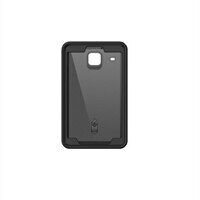 OtterBox Defender Series Back cover for tablet Rugged for Samsung Galaxy Tab E (8 in) - BlackDon't let your tablet take a tumble without protecting it with the Defender Series for Galaxy Tab E 8.0. Go with all the information you need and the confidence it's protected. Triple-layer case guards against drops, scratches and dust. Don't let your tablet take a tumble without protecting it with the Defender Series for Galaxy Tab E 8.0. Go with all the information you need and the confidence it's protected. Triple-layer case guards against drops, scratches and dust.